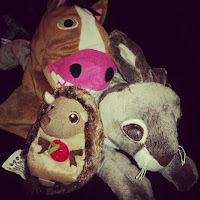 It's like the Invasion of the Cuddly Toys here... and they've all crowded into a photo booth for some mash-your-heads-together-and-grin-like-mad shots! Maybe I should have used one of these images for a "caption this" type post. They look a bit creepy in these photos but they are cute really. 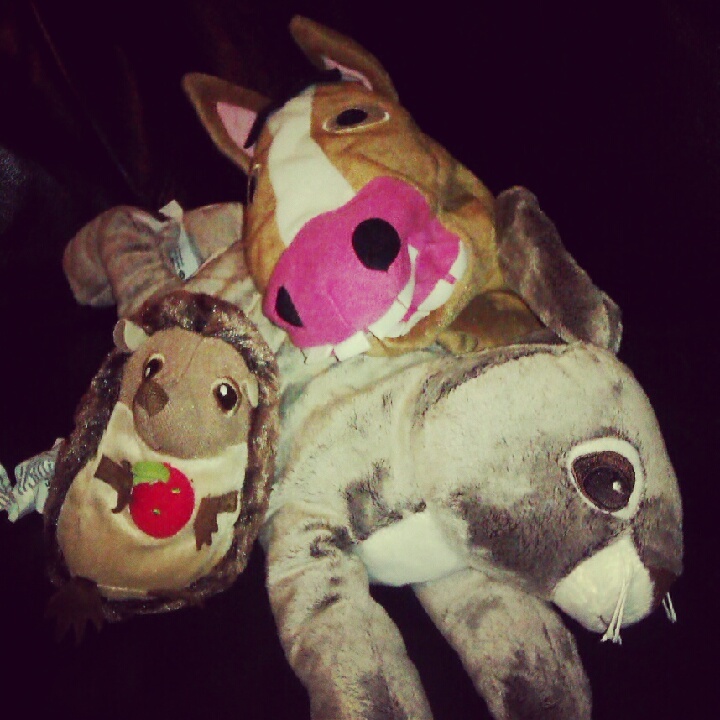 The hedgehog squeaks, the hare is really soft and cuddly and the horse is a glove puppet! So cool! Ikea sent me these furry friends to shove in the grandchildren's stockings on Christmas Eve in return for telling you about their new soft toy range which has plenty of choice, including loads at £5 and below. For every toy bought in this range, 1€ will be donated to their soft toy campaign. I have decided that I now want ALL the finger puppets and may have to go and visit Ikea for the very first time to pick some up along with some of the famous Ikea meatballs. Yes, you read that right. I must be the only person in the UK that has never set foot in Ikea. Am I unique? Ikea asked me to share some of this content. Please see my disclosure page for more details.